How do you start with this truly unique form of fitness? 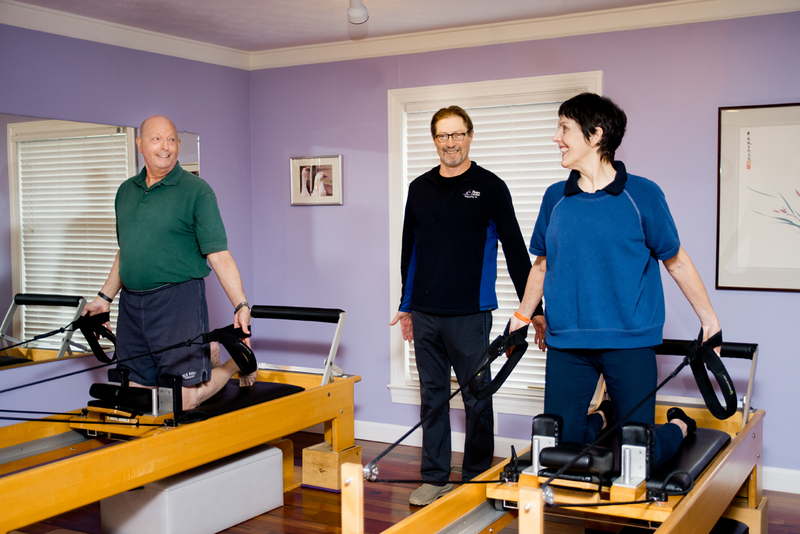 New clients at The Pilates Center start with private one-on-one Pilates sessions. Pilates is more about "how" you do an exercise so understanding the pilates principles and how to incorporate them with exercise is most important. This is an individualized workout based on the person's goals and abilities. Most clients will continue with privates but some will take duets or trios which is one instructor coaching two to three clients. These require experience with Pilates because the instructor is focusing on more than one person.